When its comes to computers its all about making them small and powerful. Popular rugged/industrial PC manufacturers 'Stealth' has been making industrial and rugged PC form factors since the last 20 years. It recently announced its most its most powerful Mini PC till date. Its called the 'The Little PC 670' also called the LPC-670. This series is designed on the new Intel Core i7/i5/i3 mobile processor technology. 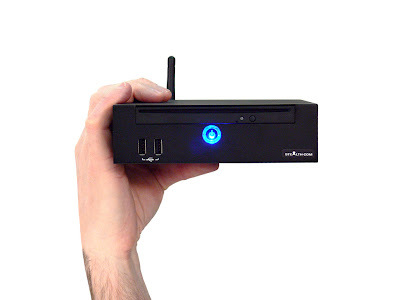 The LPC-670 has a small form factor of a mere 6.5" x 6" x 2" (16.6 x 15.7 x 4.8 cm) in size, this makes it ultra portable. The chassis is made out of light weight Rugged Aluminum. It weigh in at 1.5kg. 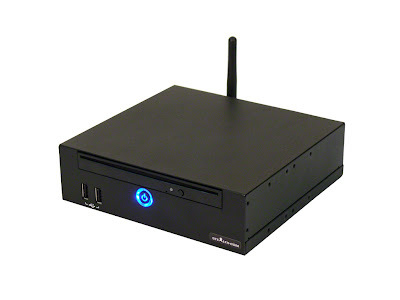 Just like a full Computer it come with a wide variety of connectivity options which includes a front load slot type optical drive, HDMI, DVI, USBs, RS232, GB LAN, audio in/out ports with the option of Optional 802.11 WiFi. Dual-Channel memory architecture Offers 2 x DDR3-Dimm memory slots providing options up to 8GB of RAM. Storage Standard offering with a 160GB 2.5" Serial ATA (SATA) Hard Drive with the option of up to 750GB or higher there is also the Optional Solid State Hard Drives (SSD). Windows XPe Embedded, Ubuntu Linux Optional: QNX &amp; embedded. Plus special requirements can be requested. The standard LPC-670 ships with an Intel's Core i5 520M processor running at 2.4GHz. Other processors options includes Core i3, Core i5 580M (2.67Ghz) and Core i7 620M (2.67GHz). The LPC-670 is now available, with the base model starting at US$1,650. Being a special purpose PC its a bit on the costly side but can be said to be a good device for special purpose application.